TouchArcade reveals a first hands-on with an upcoming Commodore Amiga emulator from mobile developer Manomio. Manomio is the developer behind the Commodore 64 emulator for iOS that made headlines after it was originally rejected from the App Store. 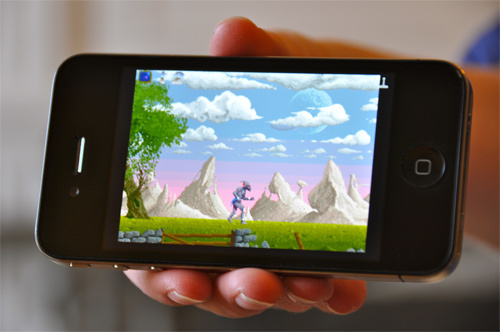 Manomio's Commodore 64 emulator eventually returned to the App Store after some favorable changes in App Store policy. The shown games don't necessarily reflect the selection that will become available in the App Store, as that will depend on the ultimate licensing agreements. The emulator achieves its performance using tuned ARM assembly language and will only support iPhone 3GS / 3rd gen. iPod touch devices and up. No release date has been announced.